Forward to three years later and I'm standing in the grocery store's book aisle while my mom browses the vitamins and I'm trying to decide which books I want to buy. I hadn't bought any books in a while but I didn't want to splurge my monthly savings in one go. They had a sale going on for Hush Hush since the final installment to the saga would be coming out in July and it was only five bucks. I heard my sisters' voices pounding in my head shouting "you better buy that book noel, you better get it now!" so yeah... I listened to the voices, they told me to get it. This book was alright. I'll admit I'm not ecstatically impressed with it but it wasn't boring to read at all. I really liked the chemistry between Patch and Nora from their fateful moment in Biology. The plot was really well thought out, props to the author for the intricate web of the story, and I loved following the mystery. I was constantly guessing who I thought the ...shall we say criminal?... was and who I thought was behind the whole thing. It was the beginning of summer and I was in desperate need for a good summer opening book. I hadn't read a suspenseful book like this in a long time. The ending greatly reminded me of the Kissed by an Angel series (that I only managed to read up to number three of, oh dear I seriously have to catch up on that series) which I really loved so I am definitely going to be reading the other books whenever I get the chance to. 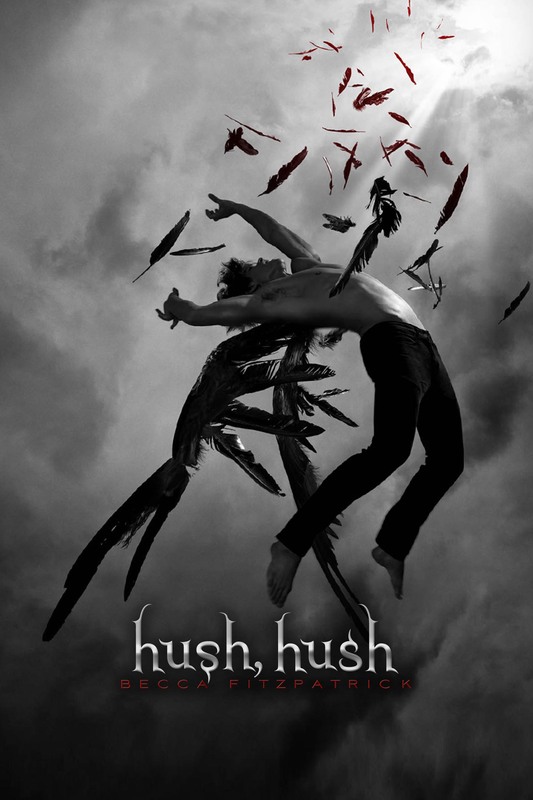 I called my sisters the day I started reading Hush Hush and told them about the great deal I had gotten on it and the moment I heard their voices in my head urging me to buy it. Apparently I had been mistaken and they were quick to let me know what an idiotic idea that had been considering that they have the first three books on their own bookshelves and said I had wasted my money by buying a second copy. But it wasn't a waste, I totally recommend this book! I read it in French when it came out and loved it and then I re-read it before starting the sequel and thought it was only ok ... I love Patch !! Crescendo (the second book) is definitely better according to me :) !! Great review Noellie !! In My Mailbox - Summer Book Haul!